I hear from (or read about) home stagers, on nearly a daily basis, that are having problems with their home staging websites, with their web designer or their web master. Many of the complaints are about how expensive it is to refresh, change or delete content. Most home staging websites are built in a way that, unless you understand html or coding, it's impossible to make even the smallest changes yourself. I used to have those same problems with my website for my home staging company. It cost me a fortune to have it built and it never functioned the way I wanted it to. I had to pay extra for each picture upload, so basically the photos I had my web master upload initially were the only photos on my site. My contact form didn't work - I didn't get a single message. But the worst part was that my website didn't show up in Google for ANY search term until after page 30! I liked the way my website looked, but I hated the way it functioned. I fired my webmaster. I read everything I could get my hands on about html, and I learned how to make a few text changes (I still couldn't add or delete photographs, add pages or links). I couldn't add a blog which I learned was important for SEO. I figured there had to be a better way, so I started experimenting. I wanted a blog, so I purchased a new URL, found a hosting company that gave great customer support and started building a Wordpress blog from the ground up. It was a very steep learning curve and it took me a couple of months to figure out what I needed to know. All of a sudden, my new blog site was showing up on page 2 of Google! Then page 1! I decided to try building my own website with a blog included using everything I had learned about search engine optimization and website building. Within a week, I was on page 1 of Google for all my search terms. Awesome! 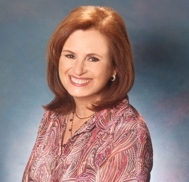 I told my good friend, Atlanta Home Stager Kathy Nielsen about my success with my website. We worked on a website for her. You can read about it here: I Used To Love My Website. Kathy and I both realized that we could put all our website knowledge to good use by building websites for home stagers and designers that were experiencing the same frustrations we once did. Thus, Easy Designer Websites came to be. If you'd like a home staging website that is beautiful, affordable and search engine enhanced, then check out Easy Designer Websites. The best part is, our websites are easy to update, add to, delete or refresh your content YOURSELF. You're in the driver's seat! Click here to see some our sample home staging websites.